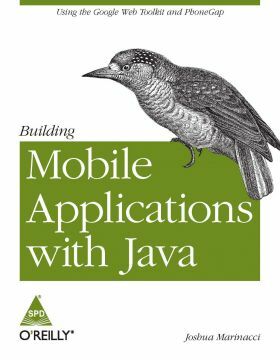 Do you want to develop mobile apps with Javaâand have them work on a variety of devices powered by iOS and Android? Youâve come to the right place. Joshua Marinacci first tried Java in 1995 at the request of his favorite TA and never looked back. He has spent the last fifteen years writing Java user interfaces for wireless, web, and desktop platforms. After co-writing Swing Hacks with Chris Adamson, Joshua spent five years at Sun working on Java user interfaces full-time; contributing to Swing, NetBeans, JavaFX, and the Java Store. Then he explored the mobile web for two years as a developer advocate for webOS and has recently joined Nokia as a researcher. Joshua holds a BS in Computer Science from Georgia Tech and lives in Eugene, Oregon with his wife and baby son.